PUBG has been available on Xbox One for a long time, since even before the launch on Android and iOS. The game’s popularity remains untouched irrespective of the platform but to make sure that Xbox One remains among the most favorite ways of playing for gamers, Microsoft has put a real-life version of the popular desert van from PUBG on the roads of England. The iconic desert van from the Miramar map will be helping the British beat the heat wave. This is because the van has been deployed to hand out free ice cream to passers-by. The van’s journey begins from Blackpool and will carry on until the mid of September when it should reach Brighton. Apart from handing out popsicles and ice creams to people, the van will also carry special PUBG-themed goodies and merchandise which will be given to every 100th passer-by. The van’s location for each day will be shared by Xbox UK’s social media accounts including Twitter, Instagram, and Facebook. The company has also suggested enthusiasts look out for the hashtag #PUBGVan to get the van’s location. 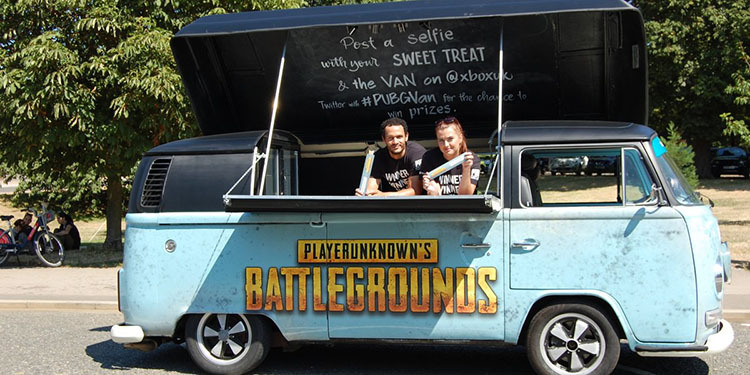 Moreover, to stand a chance of winning prizes like copies of the game and Xbox One consoles, users must post a selfie of themselves with their “sweet treat” and the PUBG van. 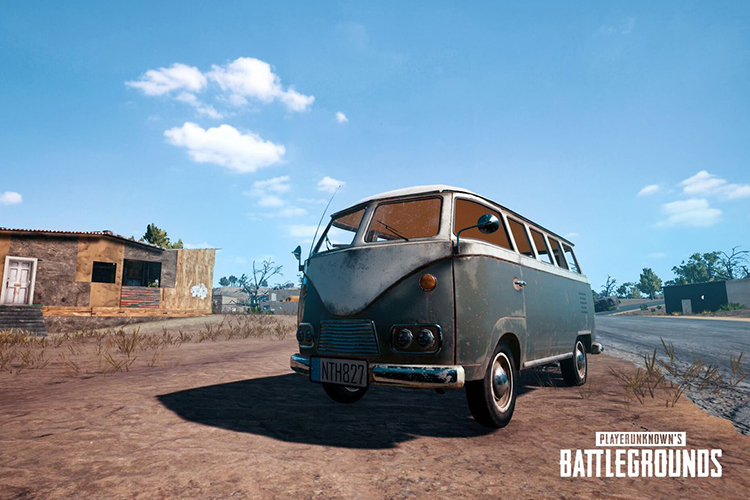 The PUBG Van is inspired by the classic Volkswagen Type 2 van, commonly known as a “Camper” or “Transporter”. It is exclusive to the Miramar map and can be used to carry your entire the squad together. In spite of its low speed and driving force, it is one of the most useful vehicles in the game. This is because of its high hit points which means it is the ultimate survival vehicle. The PUBG van, because of its seating capacity of six, allows players to sit tactfully and attack in a variety of ways. And now, its benefits include free ice cream and complimentary PUBG merch.